All the stories convey some moral. “The Unending Story” conveys the moral that one shouldn’t keep on listening to stories! I enjoyed reading the stories very much. They were funny and enjoyable. 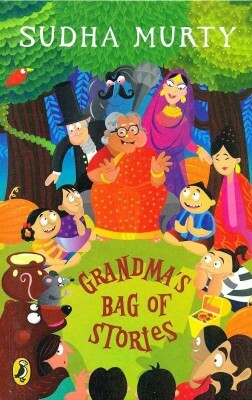 The story I enjoyed the most was “Five Spoons Of Salt.” It was the most funny out of Ajji’s collection of stories. It is about a family where everyone adds five spoons of salt to sambar(a side dish), thinking that the others would forget!